If you have already paid, you should have gotten an email from us which contains the zipped file. First of all, you need to download the attachment file. 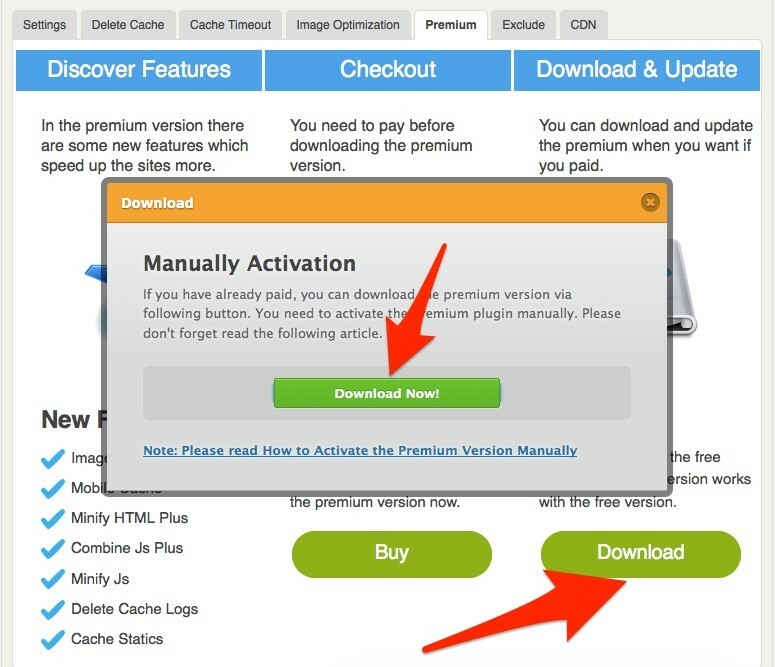 There are two way to download the premium plugin. Email and download panel. After download the zipped file, you need to click on “Add New” link and later you need to click on “Upload Plugin”. Now, you need to “browse” the downloaded zipped file and click on the “Install Now” button. Finally, you need to click on the “Activate Plugin” link to star to use the premium version. You can start to use WP Fastest Cache Premium. Note: Premium version works with free version. Please don’t delete free version. This entry was posted in Blog, Warnings on December 15, 2014 by admin.